The Asia-Pacific Journal, Vol. 11, Issue 49, No. 2, December 9, 2013. Recently I have started to take a first, tentative look into the things being said [about the situation in Fukushima] by university professors, world opinion, the specialist media, and experts from various foreign countries, and I feel moved to set down on paper my own thoughts and ideas, before it is too late, about how things are, what should be done, and to give my opinion and an appeal on what should be done internationally, socially, humanly and humanitarianly, regarding this important and weighty issue. All of a sudden two years have passed since that once-in-a-thousand-years calamity, the Great East Japan Earthquake, and the explosions that followed at the Fukushima No. 1 nuclear power plant – and nothing has changed. All that has happened is that our houses are crumbling, our fields are running to weeds, and our village is drifting back to a primitive state. Today I am thinking, I am worrying, and I am starting to feel resentment. “For us, in this reality, in this situation, what really matters? The village we were living in? To defend, to inherit, and to pass on to generations the home-place we were living in, the land our forefathers built upon, our property? Ah, but now what really matters is human health. That’s where it all starts” – with such words I question myself, then question once again. The national government and the village mayor insist now as ever that they will decontaminate the village, that they will enable us to go home, to return to the village as soon as humanly possible, that their plans will be executed swiftly, that the living environment will be getting the top priority as they open up the road to recovery, and no-one wants to abandon their homeland. But why, when human life and health should be the top priority, should that be reason to choose return, return to the village, as a higher priority than the people’s health, our children’s health, our grandchildren’s health? – That is something I cannot fathom. For my part I have actually started to think that we are being used as the world’s first human guinea-pigs, in an experiment to demonstrate to the world that “here in Japan, in the prefecture of Fukushima, in the village of Iitate, in an area of particularly high radiation, the people have come home, the village has been repopulated, and we have succeeded in restoring life as it was before the Great East Japan Disaster, and before the nuclear accident.” The youngsters, the young couples bringing up children, have been forced into activities and a living environment of extremely exaggerated caution, in which information on radiation and on health is zealously collected and shared. I think that is only natural for parents, for mothers. As such, these young people, these households with children, will not contemplate going home, they think not of returning to the village, nor will they until the radiation level is below world standards, and it is possible to live safely, with a sense of security, living off the fruits of the land – until that happens, I think it is only natural to stay away from the village, and as a parent of children myself that is the best I can hope for. To avoid having to shut up our children and grandchildren indoors. That seems to be something that the officials, cabinet ministers and bureaucrats in the capital cannot apprehend. The only way for the officials, cabinet ministers and bureaucrats to convince and persuade the local people that it is safe to return is for them to come and experience life in the village for themselves, to prove by experiment with their own bodies that one can live in safety and peace of mind in our village; unless they turn their own experience into data, we will not be able to believe anything they tell us – this is the minimal responsibility of the nation that promoted nuclear energy and the Tokyo Electric Power Company. Electricity from the Fukushima nuclear power plant was electricity for Tokyo; we villagers of Iitate saw no benefit from it but only suffered the consequences – we could not see the radiation, we were told there was no immediate threat to health, even as hydrogen explosions burst out one after the other at the plant after March 12, 2011; only on April 22 were we told by the authorities – as a means to evade responsibility – to prepare for planned evacuation about a month later. And as a matter of fact, although our village was a high-level radiation zone, we accepted evacuees from Minami-Soma and some of those from Namie whose escape had been delayed, and in each of the village’s twenty hamlets, we prepared food for those evacuees, thinking it was aid, but we fed them irradiated food, and unnecessarily increased their dose of internal radiation. The possibility of internal radiation poisoning implies heavy responsibility. We meant well, and can but pass on the responsibility for the deed to the government and Tokyo Electric Power, but if my memory serves me, we accepted some 2,000 evacuees. The national government should take absolute responsibility for any harm to health that emerges from internal or external radiation absorbed by those people. We who gave them the emergency supplies are full of remorse that we knew not of the danger in what we were doing, and we pray from the bottom of our hearts that no harm to health will result. Only a tiny part of the decontamination plan drawn up by the government for FY2012 (April 1, 2012~March 31, 2013) has been implemented, and no site has been secured for storing the radioactive materials to be removed after decontamination. At present the information I have says that only 1% of the area slated for decontamination has actually been treated. Moreover, as the work of decontamination has commenced, it has proved difficult to secure workers with the right technical expertise to do the work, even in the numerous areas with low levels of radioactivity, where the forests are far from the houses, where there is plenty of space around the living quarters and where there are plenty of forests to serve as windbreaks [factors considered to help decontamination work]. This makes it highly questionable whether the decontamination plan can be carried out, and even if it were, I believe it would only be for the sake of being able to say they gave it a try, though without succeeding in reducing the radiation to a level where people could actually live there again. It is totally incomprehensible to me why vast amounts of the taxpayers’ money is being invested in this, even though it is unclear whether a safe and reassuring environment will result; nor can I understand why they are once again planning to put the local people’s lives at risk by making them go back before it is safe. Goodness knows how many billions of yen the work will cost, but the village office’s estimate for Iitate village alone is 322 billion yen (over $3 billion). 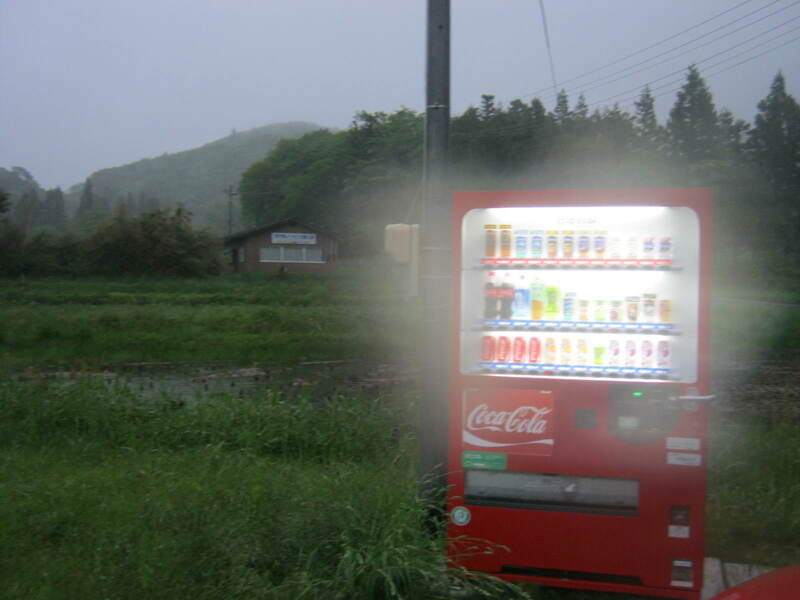 The village only has about 1,700 households, so even if they were compensated to the tune of 100 million yen (about $1 million) per household, that would still come to 170 billion yen. A much larger sum than that is now being spent on decontamination – and it is perfectly clear that this is mostly to give more jobs to the big construction companies. I believe this is a truth that cannot be concealed. Even if the village is decontaminated, the young people will not return, and if they cannot come back then the village will naturally perish, and it will be reported around the world as a ruined village. Rather than trying to protect the village, should not more attention be paid to the health of its people? Surely none of the villagers want their community to become a guinea pig for the world – but if guarantees and compensation payments are cut off, then I think most of the villagers will have no choice but to return to the village, more out of resignation than anything else. The sad fact of the matter is that those people are mostly old people with nowhere else to go. Such, I think, is the unspoken truth. We will never forgive those responsible – the national government, the Tokyo Electric Power Company, and those who helped make this happen! Translator’s afterword: After the disaster, Masahiko and his family were evacuated to a temporary housing facility on a disused industrial estate in Matsukawa, in the south of Fukushima city. When he wrote this document, marking the second anniversary of the 3.11 disasters, he was still living there, in very cramped conditions, with his wife, mother and one of his sons. 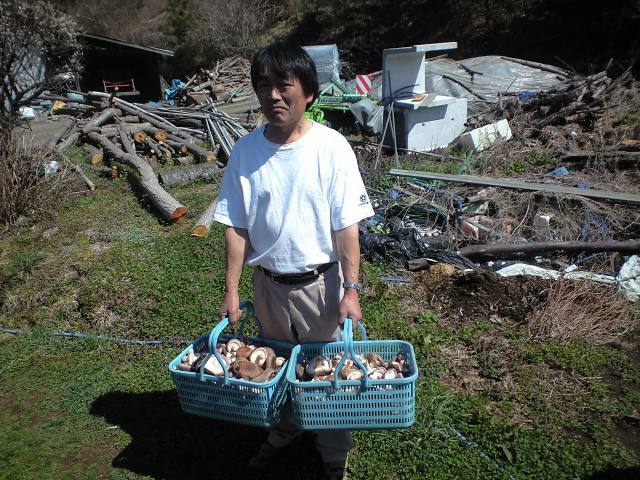 I am glad to say that a few months later he was finally able to buy a house on the outskirts of Fukushima city, paid for in part by compensation payments from Tokyo Electric Power Company, where he is now starting to settle down and plant vegetables on a small plot of land. While he still dreams of returning to his ancestral homeland, he has no idea when that might become possible, and for now, he feels he must improvise a new way of life elsewhere. After the spectacular hydrogen explosions at the Fukushima No.1 nuclear power plant, the government ordered a series of evacuations from areas close to the plant. But the evacuation orders were based on the false assumption that safety increased with distance from the plant. In fact, as the world now knows, prevailing winds carried the radiation in a northwest direction, where a lot of it was deposited on the village of Iitate. 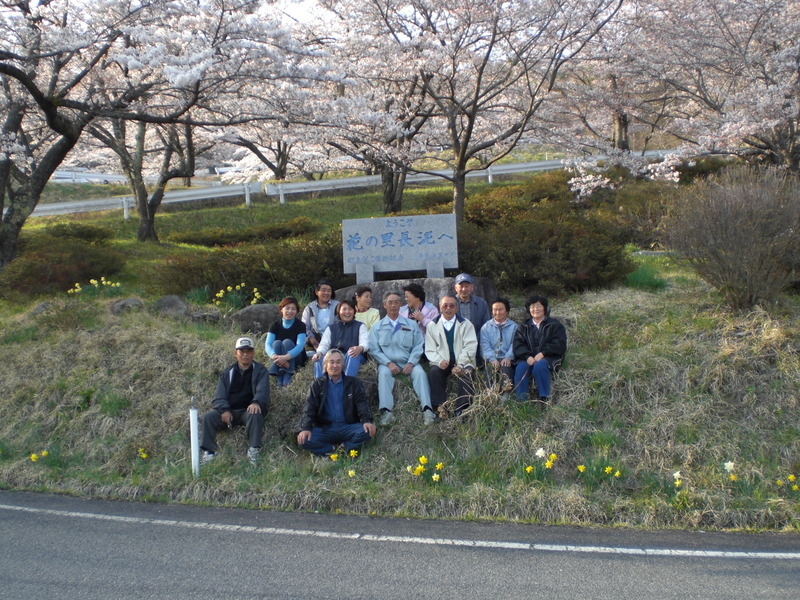 Consequently, as Shoji-san says, some 2,000 evacuees sent to Iitate from Minami-Soma (closer to the plant than Iitate, but lying to the south and hence away from the heart of the radiation plume) were actually evacuating to a more dangerous location, where they were given contaminated food and water by the villagers who had no idea of the possible danger. 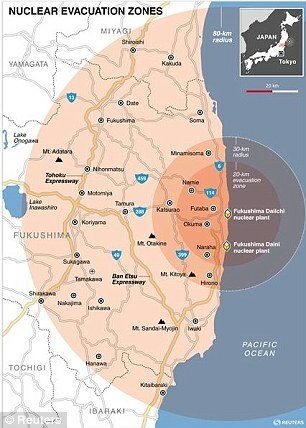 It later transpired that the government knew about the direction of the radioactive plume thanks to its SPEEDI early warning system, yet withheld the data from people in the affected region, ostensibly to avoid causing panic. This was one of the many scandals arising from the early days of the Fukushima crisis. 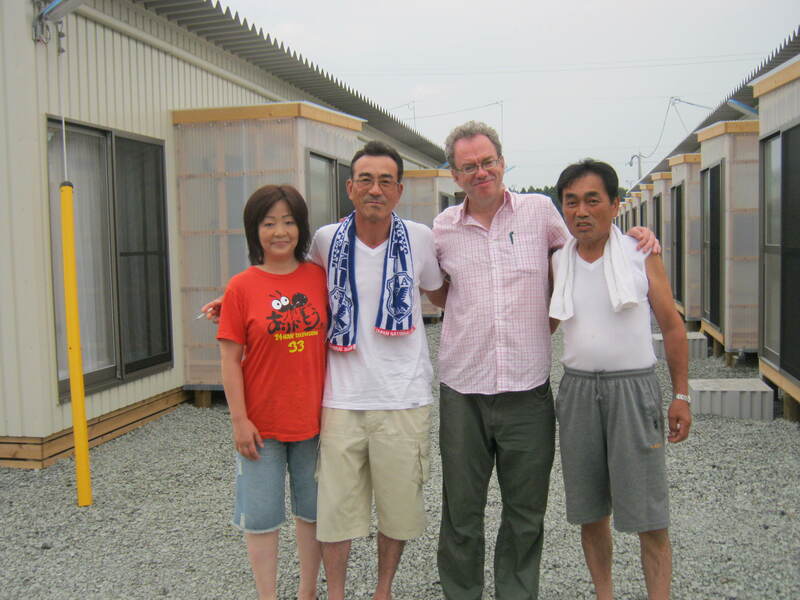 Shoji Masahiko (far right) with Tom Gill (second from right) and two friends, Matsukawa temporary housing complex, 15 August 2011 [photo: Manami Gill]. Shoji-san’s factual references are generally correct. The figure he cites of 322 billion yen for decontaminating the village is on p. 8 of a report from the Iitate village office dated September 28 2011. He also writes that no more than 1% of the land of Iitate has been decontaminated so far. That was what the government claimed in March 2013. Accessing the relevant page in December 2013 shows that the government is now claiming about 2%. The government also claims to have decontaminated 110 houses, or 6% of the housing stock of Iitate. But who would return to a house surrounded by land and forests not yet decontaminated? As for Masahiko’s hamlet, Nagadoro, it has been formally excluded from the decontamination project anyway, as having too high a level of radiation. The Environment Ministry decontamination data for Iitate is available at this website. Tom Gill is a professor at Meiji Gakuin University. He is the author of Men of Uncertainty: the Social Organization of Day Laborers in Contemporary Japan and co-editor of Globalization and Social Change in Contemporary Japan. For more on this topic, see my paper, “This Spoiled Soil: Place, People and Community in an Irradiated Village in Fukushima Prefecture,” in the recently published collection, Japan Copes with Calamity: Ethnographies of the Earthquake, Tsunami and Nuclear Disasters of March 2011 (Oxford: Peter Lang). A Japanese version of the paper, 場所と人の関係が絶たれるとき――福島第一原発事故と「故郷」の意味may be found in the Japanese version of the collection, 東日本大震災の人類学――津波、原発事故と被災者たちの「その後」(京都：人文書院). Both books are edited by myself, Brigitte Steger and David Slater. Shoji Masahiko is featured in the paper, and there is a photograph of him on p.212 of the Japanese edition. 現段階の除染状況では、当初の除染計画の、平成24年度の実施計画の目標のほんのわずか一部分しか、実施できず、除染後に発生した放射線汚染物を移 染する仮置きする敷地も確保できず、現段階では、飯舘村全村の除染面積の１％の実績にしか至らないとの情報もある。ましてや、案外、除染作業するうえで、 放射線量も低い地域で、森林も民家より、遠ざかっている地域なのに、これから除染する区域の中には、屋敷の面積も広く、屋敷周辺の防風林も多い地区が多数 あるのに、その道の専門技術者も確保できず、如何にして、計画を達成できるのか、見当もつかないし、やったとしたら、ただ除染を試みたというだけで、放射 線量を下げて、生活できる住環境に改善したという状況下には至らない結果にあると思う。何故に多額の税金を投資して、安心安全な住環境も補償保証出来ない 状況なのに行事消化のように、国民の税金の無駄遣いをするのかさっぱり意味不明であり、再び、地域住民を健康被害の危険にさらそうとするのか理解できな い。そんな何千億か見当はつかないが、飯舘村内だけの除染費用の見積額だけでさえ3,224億円とか。飯舘村の全世帯が約1,700世帯程度、1世帯当た り1億円の配分としたとしても、1,700億円の出費で賄えるのに、労働者の雇用拡大にかまけて、日本のゼネコンの雇用拡大にしか思えない状況は見え見え である。この現実は、隠しきれない現実であると思う。除染しても、若者が帰還、帰村できなければ、村は、自然消滅してしまうだろうし、廃墟の村として世界 に報じられることと思う。村を守る事より、そこで生活してきた住民の健康を重視すべきではないか。飯舘村民を世界のモルモットにしては欲しくないと村民誰 しも願う心境であるはず、ただ単に保証、賠償が打ち切られ、生きていけないがために、諦め半分以上で帰村する人が大半であると思う。それも行き場のない年 寄りばかりであるのが、悲しい現状であり、誰も認めたくない事実であると思う。一生怨みます。東電と国とこの事を推進した人物を!